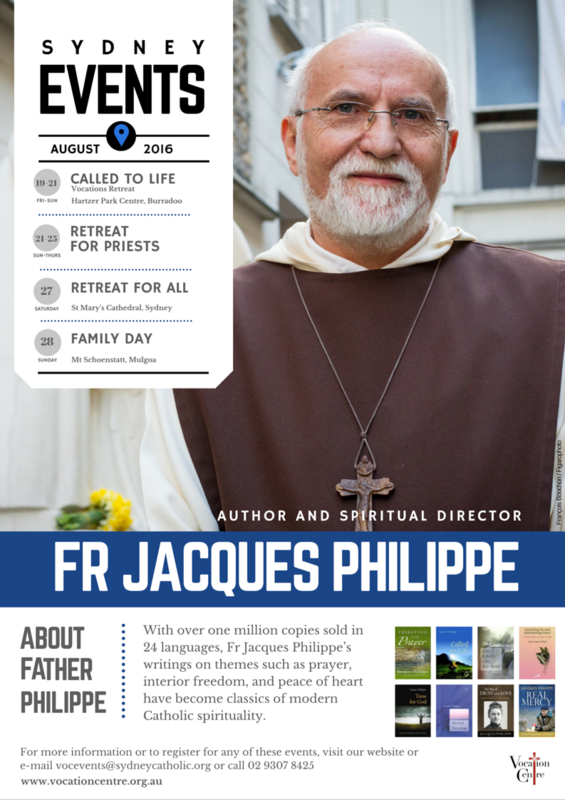 With over one million copies sold in 24 languages, Fr Jacques Philippe’s writings on themes such as prayer, interior freedom, and peace of heart have become classics of modern Catholic spirituality. For 10 days in Sydney, Fr Jacques will lead weekend and day retreats and engage in public lectures. This will be Fr Jacques second time in Sydney, his first visit being in 2014, also hosted by the Vocation Centre. Fr Jacques’ last visit was received with an overwhelming response, with every event booked out. People from all ages and all walks of life and all vocations are welcome to join this retreat with Fr Jacques Philippe. Families are invited to a beautiful day out at Mt Schoenstatt to spend a day of reflection with Fr Jacques Philippe. For more information or to register for any of these events, e-mail vocevents@sydneycatholic.org or call 02 9307 8425.